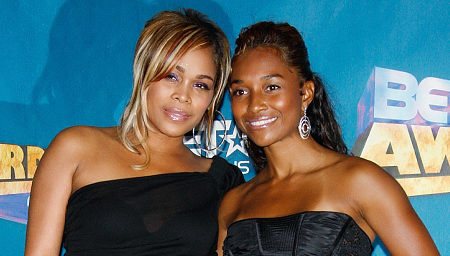 HOLLYWOOD, Calif. — TLC is reuniting on stage. Tionne "T-Boz" Watkins and Rozonda "Chilli" Thomas, the two surviving members of the popular 1990s trio, will reunite with a performance at the Justin Timberlake and Friends benefit concert at Las Vegas' Mandalay Bay Events Center on Oct. 17, organizers announced Tuesday. The show is part of the week-long festivities surrounding Timberlake's Shriners Hospitals for Children Open, a PGA Tour event taking place at the TPC Summerlin. Besides TLC and Timberlake, the benefit show will also feature country star Taylor Swift, as well as R&B singers Alicia Keys and Ciara. Tickets go on sale Saturday. The appearance by Watkins and Thomas will mark the first time the two singers have played live together since bandmate Lisa "Left Eye" Lopes died in a 2002 car accident. TLC won five Grammy Awards during the height of their success. Among their hit songs are "Creep," "Waterfalls," "No Scrubs" and "Unpretty." Watkins recently made a cameo appearance on "The Real Housewives of Atlanta," the Bravo reality show based in her longtime home.